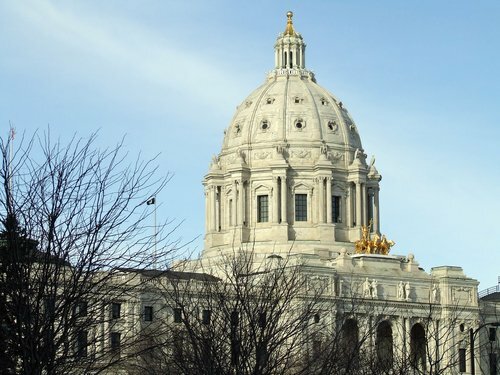 In a session that was billed as the “unsession” for the elimination of laws that was supposed to occur, the Minnesota Legislature has been hard at work passing new laws that will impact nearly all Minnesota employers. Current status: The legislation, numbered HF 2091, was approved Thursday, April 10, by the House of Representatives, in a 71 to 60 vote, after three hours of debate, after having been approved Wednesday by the Senate in a 35 to 31 vote. The Governor announced that he will sign the bill into law Monday afternoon. Context: Minnesota is one of four states with a minimum wage requirement that is lower than the federal rate. The federal minimum wage is $7.25. Workers are entitled to the greater of the federal or Minnesota rate unless the employer is exempt from the federal law. Minnesota’s current minimum wage is $6.15, except for small employers (defined as an enterprise with annual receipts of less than $625,000), which are subject to a minimum wage of $5.25. Specifics: Effective August 1, 2014, the minimum hourly wage will be $8.00 for businesses with gross sales of at least $500,000, increasing to $9.00 on August 1, 2015, and to $9.50 on August 1, 2016. A lower minimum hourly wage ($6.50, increasing to $7.25 on August 1, 2015, and to $7.75 on August 1, 2016) applies to smaller businesses, employees age 18 or 19 during the first 90 days of employment, employees under age 18, and employees working under a J1 visa. The much-talked-about indexing would begin on January 1, 2018, based on inflation measured by the “implicit price deflator” capped at 2.5 percent and could be suspended for one year by the Commissioner of the Department of Labor and Industry if leading economic indicators indicate the possibility of a substantial downturn in the economy. The suspension could only be implemented after a public hearing and public comment period. In subsequent years, the suspended inflationary increase or a lesser amount could be added back into the minimum wage rate. Second, an unrelated bill that is moving through the legislature would expand the required unpaid leave for birth and adoption to include pregnancy and increase the length of leave from 6 weeks to 12 weeks. The change is included in a larger piece of legislation called the “Women’s Economic Security Act.” The expansion would amend Section 181.941 of the Minnesota Statutes and, therefore, would impact employers that employ 21 or more employees and apply to employees who have been employed at least 12 months in at least a half-time position. After nearly four hours of debate, the bill was passed on Wednesday, April 9, by the House in a 106 to 24 vote and was introduced the next day in the Senate, followed by referral to the Rules and Administration Committee. It is expected to be voted on and approved by the Senate in the next couple weeks and the Governor has said he will sign it. In addition to expanding parental leave requirements, the WESA would require employers to allow employee discussion about compensation without fear of retaliation, require government contractors to report on gender disparity, and require employers with more than 40 employees to provide accommodations for pregnant workers, among other provisions.